Figured that since I’ve just gotten back into purchasing manga regularly, it’d be a good idea to do periodical quick takes on them. The manga featured here are published in Indonesian hard copies, and for the most part are freshly licensed stuff I got from local bookstores, although I’ll also do older stuff I acquired as secondhand purchase every now and then. So, here’s some thoughts on Japanese comic I’ve consumed for the past month: Harold Sakuishi’s take on the increasingly popular “aspiring mangaka” sub-genre, a crime drama based on real life case, and a gag manga about some kid with inhumane amount of swag. 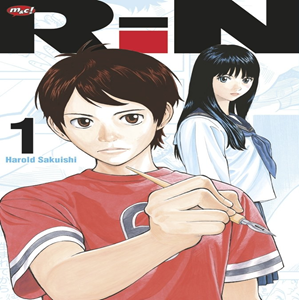 Harold Sakuishi (of Beck fame) is now trying his hands on a shounen protagonist’s journey to be The Best Mangaka Ever a struggling artist constantly oppressed by rejections, cancellations, and editorial mandates. I didn’t entirely love Beck, but I do like Sakuishi’s very distinctive character design, sense of humor, and narrative style where events segued into each other organically i.e. `just kind of happened’. So far, a lot of the narrative elements felt very similar to Beck, especially in regards of its main character; much like Beck’s Koyuki, Fushimi is a sensitive and socially awkward high-schooler crushing on a popular schoolmate who’s nice to him. There’s a significant difference between the two though: Fushimi already knows from the very beginning what he really wants to do, and that’s drawing a serialized manga (even if he initially hides it from his classmates due to the insecurity of being regarded as a freak). Another major cog in the story is the eponymous deuteragonist Rin. Sakuishi seems to have grand plans for her, seeing that she’s a psychic girl with capacity for clairvoyance, dead people sighting, and talent spotting, among others. Further on, there’s also a dash of magical realism added for good measure, with Fushimi acquiring an imaginary muse in the form of talking crow. Honestly, I’m not big on these elements; they felt awkwardly stuffed in and I tend to prefer the largely process-oriented and grounded approach of something like Bakuman (sans the sexist overtone and weird romance bit) or Shirobako for this type of story anyway. Nevertheless, Rin isn’t really lacking in great moments of actual realism, on top of the referential and always interesting industry bits that you’d expect from this kind of manga. The most striking element for me thus far is Fushimi’s nagging fear of the crippling disease (it’s not named, but seems to be hereditary ataxia or a variant of it) that had struck his mother and older sister; the latter had to give up her singing career because of it, and as the disease caused perpetual body convulsion, it’d also be catastrophic to Fushimi’s aspiration. The sister herself is a part of an already large stable of interesting supporting characters, which also included a particularly tantalizing rival character and an established female shoujo mangaka . I’m looking forward to see more of Fushimi’s works and his continued artistic development, as at the moment he’s still very much in the realistically depicted early phase of throwing all kinds of stuff into the wall and see what sticks. And while I’m not enthused as much with Rin’s part or the supernatural stuff, it’s still cool to see a proactive female character getting a sizable portion of this prototypically shounen story. The infamous and unsolved “300 million yen bank robbery” (which I first learned through one of the arcs in Kindaichi File Series) case formed the narrative basis of this manga. The present day suspense scenario is fueled by Watanabe’s fictional account of the event, in which reality from the past has turned up to haunt a youth, whose late father might be involved in the crime, and his adoptive family. 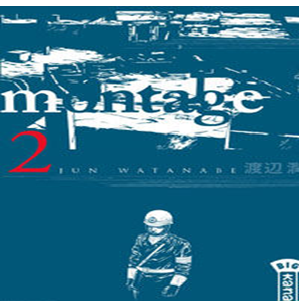 I haven’t encountered Japanese crime drama that I really love (excluding stuff that’s straight-up whoddunit mystery/detective fiction), and I can’t say Montage has really grabbed me either. It’s still pretty tropey in the sense of usual crime drama stuff as well as the fact that the two main characters are childhood friends with inevitable pseudo-romantic dynamics. However, it’s at least decent and functional, with lots of stuff already happening. Most of it is the aforementioned protagonists running frantically from Point A to Point B while avoiding being captured, but there are also tantalizing clues and an extended flashback sequence in the end of Volume 3 that had started to shed some light on the mystery and major players involved. With the journey still long (it’s already completed in Japan at 19 volumes), hopefully there are enough thrills and puzzles to sustain the whole run. Got this manga (licensed in North America as Haven’t You Heard? 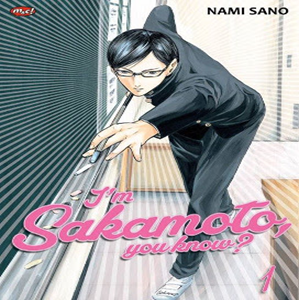 I’m Sakamoto) after reading a couple of glowing reviews. The main gimmick is its titular character’s superhuman ability to… always act and look cool in the most unfavorable (and often very silly) circumstances, which included creative and nonchalant thwarting of bullies, charming McDonald customers with his “one extra smile” offering, and capturing a bee that had freaked the entire class to the point of taking off their clothes. The running theme in this volume is actually more about Sakamoto influencing and reforming his school mates (sort of like bizarro Onizuka) rather than delving into the dude himself. It’s amusing enough, but I haven’t been really attached with it, so we’ll see in next volume if/when more of Sakamoto’s true nature (is this even his final form!?) is revealed.